Unwanted electrical and electronic devices are the fastest growing type of waste yet many electrical items can be repaired or recycled, saving natural resources and the environment. If you do not recycle your end of life electrical equipment they could end up in landfill where hazardous substances could leak out and cause soil and water contamination – harming wildlife and also human health. The crossed-out bin symbol, placed on the product reminds you to dispose of the product correctly at the end of its life. If you have purchased a product directly from the Bowers & Wilkins online shop, you can send your end of life product to our Worthing Facility. This product should be addressed B&W Group Limited, WEEE Recycling, Dale Road, Worthing, West Sussex BN11 2BH. For any additional assistance in this matter please contact us at support@bowers-wilkins.com. If you have purchased from a retailer, please contact them directly and they will advise you of their take-back arrangements. Alternatively take your end of life product to your local waste recycling centre where you will find a designated Electrical & Electronic Recycling point. To find your nearest centre, visit www.recycle-more.co.uk. The EC introduced the Waste Electrical or Electronic Equipment (WEEE Directive in 2005). It is a producer responsibility directive. The objective is to promote recycling, minimise waste and stimulate the development of more environmentally friendly products for the future. The Directive requires countries to maximise separate collection and environmentally friendly processing of these items. In the UK, distributors (including retailers) must provide a system which allows all customers buying new electrical equipment the opportunity to recycle their old items free of charge. Those establishing their own take-back scheme must as a minimum offer all customers buying new electrical equipment free take back of their old electrical equipment on a like-for-like basis. To find out more information on WEEE recycling visit www.recyclenow.com. Bowers & Wilkins takes its responsibilities under the WEEE Regulations extremely seriously and has taken steps to meet our corporate and social responsibilities. 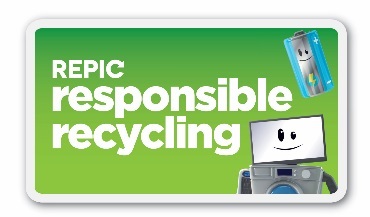 We are a founder member of REPIC the largest WEEE producer compliance scheme in the UK www.responsible-recycling.co.uk. Our Producer Registration number is WEE/CE0057TS.